If you like nature and being on the beach then this is the adventure for you. You will get a chance to have fun and do something exciting while at the same time enjoying great animals like Dolphins and others. If you are someone who likes breathtaking views then this will be the most amazing adventure you've ever had. You are guaranteed to love these amazing views that you will see of the Atlantic ocean and also the Gulf of Mexico. You will sip from place to place on your jet ski and just have the time of your life. You will ride the waves and explore mangroves and do so many amazing things you never thought possible. If you're planning to take pictures then you will need and waterproof camera as this will be the adventure of a lifetime. You will be on the water and you will need a lot of sunscreens and the tower as well. There also fresh water showers to wash you off after you've had your adventure so you don't have to worry. There are so many mangroves islands and exotic birds for you to see and explore while you're on your adventure. You will get to drive your jet ski around the island seen many of these things and having an interesting and exciting experience that you be able to tell your friends and family about. If you are looking for a once-in-a-lifetime adventure then this is definitely time and place for you. You will get the chance to see so many new and exciting things that you will want to tell everyone about. This is the chance to you to have fun and get out of the house. 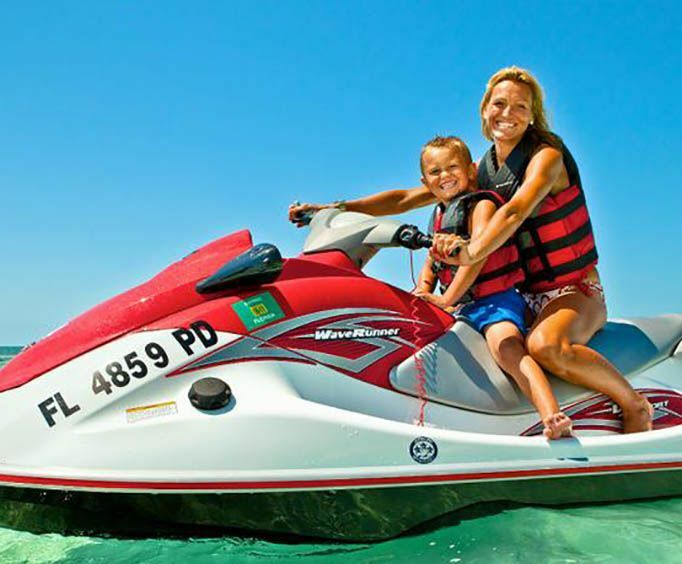 Let these local suppliers guide you through a breath taking jet ski tour around the island of Key West. Referring to themselves like as pirates of the seas, they will help show you all the best points of interest including one of the most famous sand bars in the Atlantic Ocean. Ride the waves thru the Gulf of Mexico exploring the back country including mangroves, islands and exotic birds in their natural habitats. Don't forget to bring your water proof camera, sun screen, and towel. There is plenty of free parking in case you decide to drive in in your own personal vehicle too. Lastly, if you are in need of a quick rinse of the salt water there are fresh water showers and a dressing rooms available for you to use.